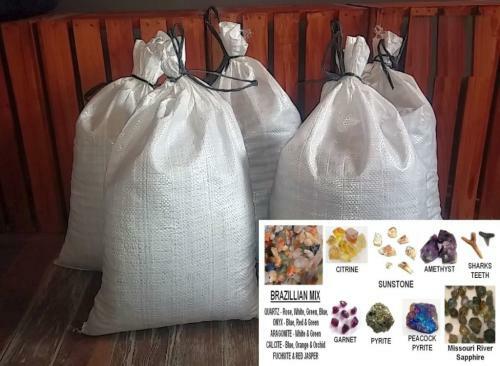 Perfect for parties or for a weekend of fun, we offer a discount when you purchase our 5 bags of Gem Krazy. 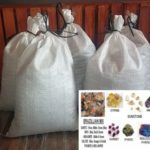 This product starts with our virgin El Dorado sapphire material then we add a couple hundred pounds of gems to the material for a guaranteed strike. 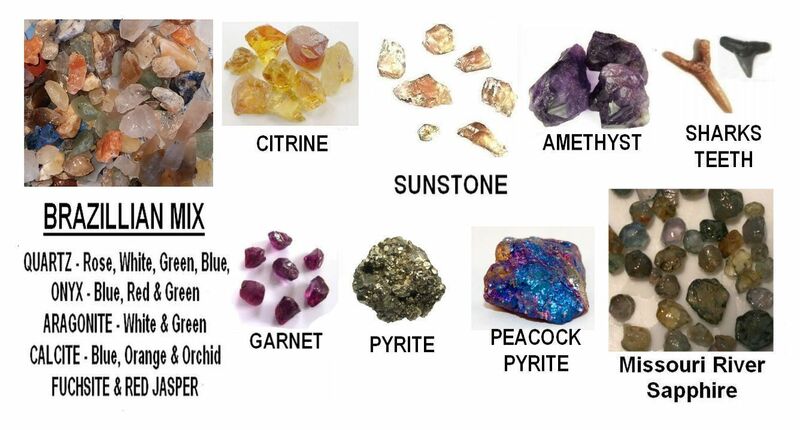 May contain any of the following: amethyst, citrine, crystal quartz, rose quartz, blue quartz, green quartz, white quartz, fuchsite, blue onyx, green onyx, red jasper, blue calcite, orange calcite, orchid calcite, white aragonite, green aragonite, agate, pyrite, chalcopyrite, sharks teeth, natural fossils, petrified wood, gold flakes and of course, Montana sapphires. Don’t be afraid to get crazy with our Gem Krazy! !